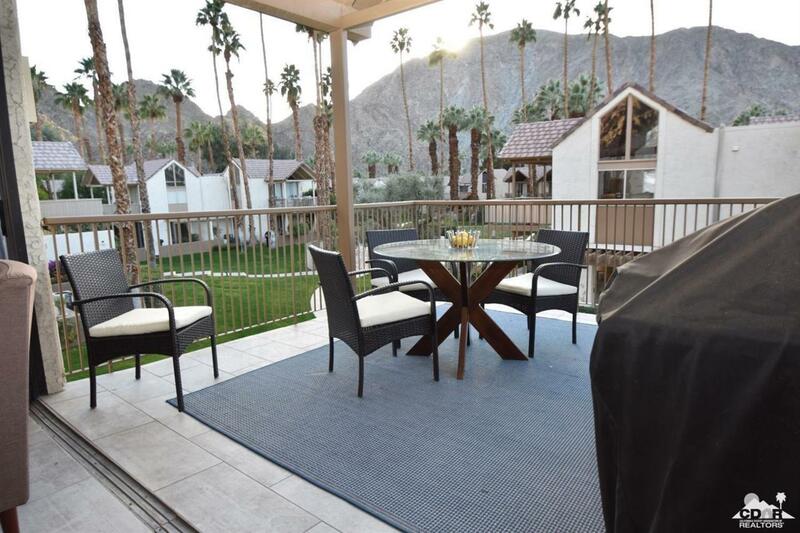 Beautiful Desert Oasis in Indian Wells. Fully upgraded Studio offered TURNKEY. Ready for Desert's high season-LQ Art Show-BNP Paribas-Coachella. 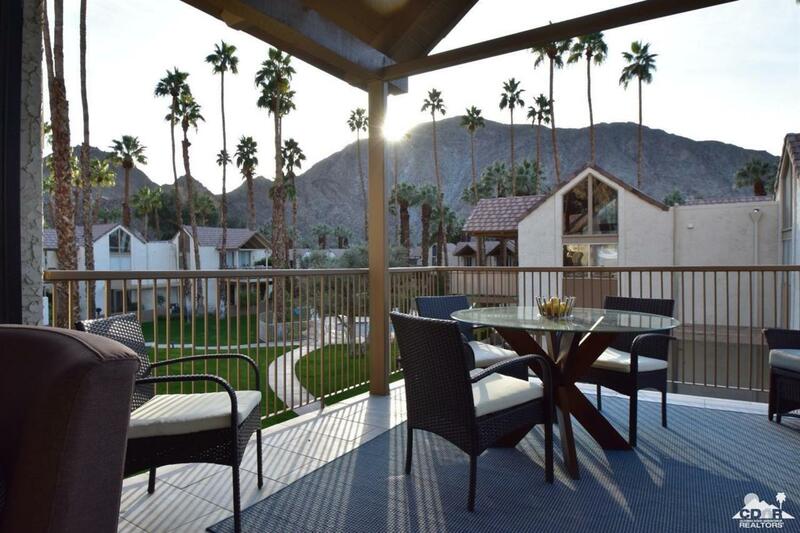 Perfect for year-round living or seasonal rental.Enjoy $35-50 green fees at the Indian Wells Golf Resort along with many other community benefits. If you are attracted to the desert's art, tennis, music, golf, fine restaurants or just want to lounge in the welcoming sunshine, this is your place. 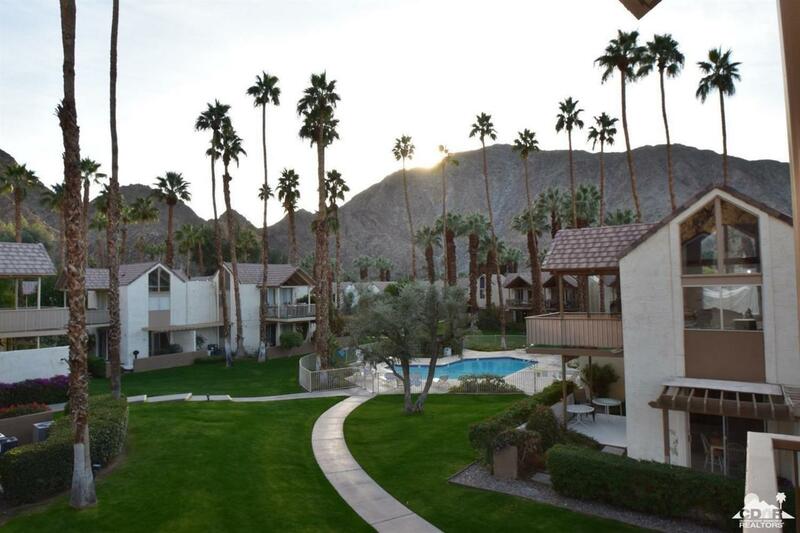 In gated Mountain Cove, this upper unit has spectacular westerly views of the mountains and pool. Beautiful grounds and 3 swimming pools. Gourmet kitchen with quartz and stainless steel. Large walk-in shower. Sleeps 4 with king platform bed/queen sofa bed. 43 Roku streaming TV and pre-wired cable/WIFI. Open the 12-foot window wall to the balcony deck with a BBQ and dining. New tile flooring. New AC and HW. IID electric service area with lower electric rates. Move-in ready. Everything that you will need is here to enjoy your new home. Listing provided courtesy of Gary Morlock of Berkshire Hathaway Homeservices California Properties.